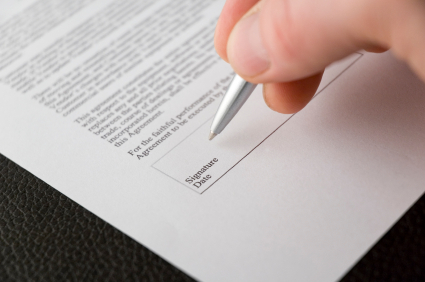 Any business agreement should be fully understood and conclusive before it comes into force. Private equity transaction agreements are no different. It’s critically important that all parties subject to an agreement, understand both the terms of the agreement and more importantly it’s underlying intentions. When it comes to the arena of private equity investment, there’s no getting around the need for a good term sheet. It’s the duct tape of agreements – you simply have to have one in your capital raising tool kit. Term sheets must be robust, no-frills, sticky and remember, no private investor will invest without one. The term sheet is the principle agreement that documents the terms for an investment transaction between two parties, the buyer and seller or the investor and investee. Most importantly, the term sheet sets out the key terms and conditions of the transaction including such things as the financial terms, legal terms, price per share and valuation methods. A robust term sheet, understood and agreed by all parties, will serve as the basis for all following transaction agreements, so it’s best to get it right. Although not a binding legal agreement in itself, that does not diminish the importance of the term sheet. Entrepreneurs should note that developing a clear term sheet will save them a great deal of time and effort in qualifying investors and bringing a deal to fruition. The term sheet is the best way to gauge interest from an investor and this is the document parties will commence negotiations from. It’s better to eliminate uninterested parties early on to save wasted time and energy. If the parties can’t come to agreement on the terms in the term sheet, there’s little chance of completing the transaction. Some of the issues that are addressed in a term sheet includes price per share, voting rights, business structure, ownership structure, internal controls, pre-money valuation, post-money valuation, dividend treatment, liquidation preference among others. Whilst an entrepreneur might find a standard term sheet template to start the thinking process, no two term sheets are alike and all will require tailoring. Dequity Partners has drafted more term sheets than they care to recall, so we use that experience to create term sheets that we know investors will have confidence in. In fact the greatest test we know is “would we invest in this from this information?”. We keep them simple but leave no relevant question unanswered. We usually develop a set of frequently asked questions to accompany the document that helps overcome objections earlier rather than later. This keeps the term sheet clean and simple. As an entrepreneur, it is important that you understand the contents of the document. There is no easy way of going through the sheet without understanding each detail. There is usually some technical jargon in term sheets that might confuse one with little knowledge in such fields. Terms such as dilution provisions, liquidation and pre-money valuation might trouble you if your knowledge of private equity or structured finance is limited. The internet and books have a great deal of information about these terms so we suggest entrepreneurs prepare with some research. If this is of concern to you and you lack time to learn all the lingo, contact Dequity Partners for assistance, we’re great translators. The true cost of raising capital can be far more than that which meets the eye. You must look beyond the simple transaction fees. The true cost of capital includes the cost one has to incur in the event of dilution. If you earn dividends, you need to know your fate if you admit more parties into the firm. Generally, selling shares will increase the firm’s financial base, however, it will also dilute future earnings for some time. This increase in the cost of capital will mean a reduced dividend, if you rely on dividends to support your lifestyle, you will have to be more careful. These computations should be laid bare in the term sheet. The effects of dilution are often overlooked, misunderstood and underestimated. If this is of concern to you and you can’t work out the true cost of capital, contact Dequity Partners for assistance, we’re great with numbers. Unless you fully understand the key terms in the term sheet, DO NOT PROCEED, take professional advice. If this simple but vital idea is ignored, an entrepreneur runs a high risk of getting into a potentially dangerous situation. There might be some hidden penalties in the proposal that you need to look out for. One of the terms one needs to put much emphasis on is the control of the company. This might include the share percentage and board composition. It is important to know your stake in the business both financially and control. If this is of concern to you and you fear you might have to cede control, contact Dequity Partners for assistance, we’re great with negotiating out of bad clauses. As much as a proposal from an investor might seem attractive, as an entrepreneur you need to know the people you are entering the business deal with. Selecting the right investor, not simply accepting the first one to make an offer, is vitally important. You will need to conduct some due diligence on the investor. 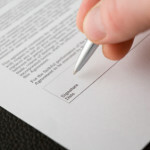 The term sheet will not disclose the character of the proponent or their motivation. If this is of concern to you, contact Dequity Partners for assistance, we’re great at uncovering the true nature and motivation of investors. Term sheets are the foundation stone of private equity transactions. Get them right and you’ll attract the right investors and complete your transaction. Get them wrong and you’ll either frighten the investor away or worse enter an agreement that is wrong for you. Don’t have experience to put together a robust term sheet? Dequity Partners are available to assist and advise on a range of direct equity investment issues. Please call on +61 2 9258 1972 or go to our Contact page.